From scrappy startup to the gold standard. Duke School of Medicine recruits David Wiener to create a comprehensive software solution to fit the unique needs of healthcare education. The result is known as BlueDocs, the precursor to LCMS+. Allison Wood — natural communicator, collaborator and problem solver — travels a circuitous route to the C suite, as founder of a boutique communications firm, advisor to start-ups and mother of three. Duke School of Medicine earns a point of excellence at their LCME accreditation review, and credits due in large part to the curriculum mapping capabilities of BlueDocs. Allison & David team up to found LCMS+ as a “spin-out” from Duke, with a mission to help schools use data technology to conserve resources, deepen insights and improve outcomes. BlueDocs is adopted by the Kilimanjaro Christian Medical College in Tanzania, sparking our commitment to improve healthcare resources in developing nations. LCMS+ becomes an authorized vendor for the AAMC Curriculum Inventory reporting initiative. LCMS+ moves up to American Underground@Main, a Google for Entrepreneurs Tech Hub, in booming downtown Durham, North Carolina. Matt Fitzpatrick joins the team as Executive Director of Product Management, with the mandate to steer product strategy and development forward in alignment with what our client partners need and what the future of healthcare education demands. Dr. Alexis Rossi joins the team as Director of Academic Outreach and Professional Development, to design and facilitate learning opportunities that will bring even greater success to all our client partners. Dr. Brandy Close joins the team as Director of Educational Strategies, following her success as Director of Curricular Affairs, Instructional Design and Academic Technologies at Oklahoma State University Center for Health Sciences College of Osteopathic Medicine. Brandy’s mandate is to help all our client partners leverage the full value of LCMS+ across their institution. 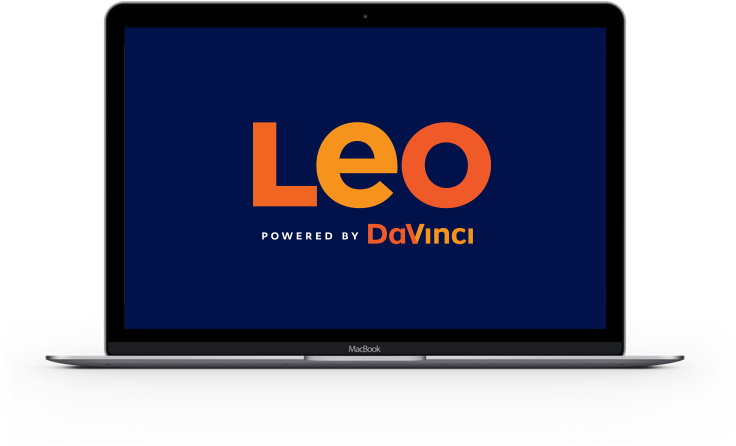 The LCMS+ platform becomes Leo, powered by DaVinci Education, still dedicated to delivering insights that can help accelerate the success of students, staff, faculty and leadership across the health sciences.